Great Service, Great Savings at Five County Insurance. We are a family owned and operated insurance agency with the customer in mind. 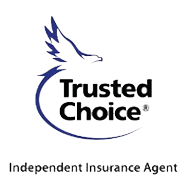 We have relationships with dozens of insurance companies allowing you to get the right price with the right service. Whether you have the ideal history, preferred companies desire, or a not so perfect history, we find the right coverage, with the best company, at the best price for you. Contact us online or visit a location near you for quick, reliable service today. Proudly serving Bonita Springs, Cape Coral, Port Charlotte, Fort Myers, and Naples area. We at Five County Insurance can offer the right coverages with the personal touch you would expect from your neighborhood insurance agent. We will treat our clients as we treat our family members. We offer all different types of insurance to fit your needs. Quickly and easily submit your information for a free insurance quote using one of our quote forms. Business, Home, Auto or Life insurance, we offer it all and more. As a customer, you will enjoy our suite of forms available. Make the latest changes to your policy directly from our website twenty-four hours a day, seven days a week.